An odd style that fits on a carrier steel pin rather than on a standard 1" wooden pin. For many years, there was only one known in the hobby, until another surfaced around 2000. 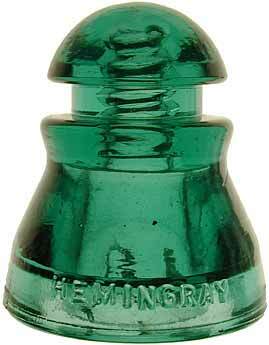 A "must" for any CD or Hemingray collector!